^ a b FitzGerald, Drew; Jarzemsky, Matt (2015-02-06). 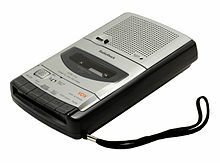 "Strategic Confusion Put RadioShack at Mercy of Lenders". Wall Street Journal. Retrieved 6 February 2015. (Subscription required (help)). ^ Meyer, Katherine (May 3, 2006). "The Best of the Worst: CueCat Falls Flat". Wall Street Journal. Retrieved November 10, 2011. (Subscription required (help)). ^ a b Bois, Jon (2 December 2015). "A eulogy for RadioShack". SB Nation. Retrieved 18 May 2017. ^ Christmann, Samantha (February 6, 2015). "Customers, former workers recall the faded glories of RadioShack". www.buffaloNews.com. Retrieved March 18, 2016. (Registration required (help)). ^ Fitzgerald, Drew; Michael, Calia (10 June 2014). "RadioShack Draws on Credit Line as Losses Deepen". The Wall Street Journal. Retrieved 10 June 2014. (Subscription required (help)). ^ Drew Fitzgerald; Matt Jarzemsky (2014-10-05). "RadioShack Lifeline Only Buys a Little Time". The Wall Street Journal. (Subscription required (help)). ^ Stempel, Jonathan (Feb 7, 2018). "RadioShack officials not liable for employees' 401(k) stock losses". Reuters. Retrieved Feb 12, 2018. (Registration required (help)). ^ Campbell, Braden (Feb 7, 2018). "Workers Paid Fair Price For RadioShack Stock, 5th Circ. Says". Law360. Retrieved Feb 12, 2018. (Registration required (help)). ^ Jarzemsky, Matt; FitzGerald, Drew (15 January 2015). "RadioShack Delays Some Rent Payments Amid Restructuring". WSJ. (Subscription required (help)). ^ Brickley, Peg (2015-03-31). 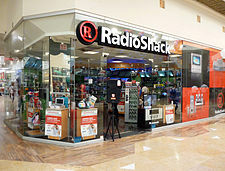 "RadioShack Rescue Deal Clears Bankruptcy Court". Wall Street Journal. Retrieved 10 April 2015. (Subscription required (help)). ^ Brickley, Peg (2015-04-13). "RadioShack Trademarks, Customers, Dealer Network Up for Sale". The Wall Street Journal. Retrieved 13 April 2015. (Subscription required (help)).